Catering for an event, whatever that might be, can quickly turn into a very stressful and time consuming problem. It’s often difficult to consider what everyone from your party might like and if you’re catering on a large scale, in excess of 100 people, costs can quickly mount up, throwing your budget awry. 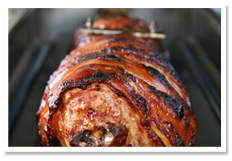 At Hog Roast Bolton, we not only understand the pressures of catering, we’re here to offer a perfect solution. Whether you’re looking for a delicious alternative to a buffet for a special occasion or a cost effective way of feeding a vast group of people, Hog Roast Bolton can provide the perfect solution for you. We’ve been offering our services throughout Bolton, and the surrounding areas, as well as the whole of the UK for many years and our professional team all have the extensive experience and knowledge you need to delight your guests. The Hog Roast is a hugely popular alternative to traditional buffets which are often wasted. If it’s a taste of something a little different you and your guests are looking for then a Hog Roast is an exceptional choice – and Hog Roast Bolton can provide an effortless solution. We offer a variety of services, in addition to Hog Roasts with the aim of catering for all tastes and dietary requirements and because of the freshness of our products; you won’t find better tasting food anywhere. What’s more, we take great effort to guarantee the quality of all of our products, using only the freshest ingredients and traditionally free-range reared pork and other meats, all of which can be traced back. Although our main base is in Bolton, we offer our services throughout the whole of the UK – whilst still providing fresh and delicious food which is cooked right in front of your eyes. See our other pages for a full list of the catering solutions and hog roast packages we can supply to your event or contact us to discuss a bespoke solution.